If Jeremy Corbyn happened not to be a vile anti-Semite, whose continued leadership of Labour makes it an unsafe place for Jews and justifies anti-Semitism under the classic guise of anti-Zionism, I might just be perfectly happy for his leadership to result in the destruction of Labour. I might be quite happy for the unbroken Tory rule that would almost certainly necessarily follow his likely victory in the upcoming leadership election. I might enjoy the hypocrisy and irony of the serial rebel for whom loyalty seems to have an entirely different definition, suddenly demanding that loyalty he never showed. I would not delight in the damage to our democracy that the lack of an effective opposition would cause, but I wouldn't pretend not to enjoy their demise under his leadership, proving, perhaps, that good things really do not come to anti-Semites. But he is a vile anti-Semite. So I cannot delight in any of those things, I cannot enjoy Labour's demise and the Tory dominance it will cause. Part of me, of course, mourns for our democracy as Corbyn turns Labour into the ultimate protest group, somehow forgetting that he is meant to lead a Parliamentary Party. But that feeling would surely dissipate once an effective opposition took Labour's place, which it surely would. So no, my overriding feeling watching Labour implode whilst the Tories, quietly and quickly moved on after Brexit and gave us our second female Prime Minister, is one of concern as I watch the hard left gain increasing power and the anti-Semitism, misogyny and bullying it has brought with it. We heard repeatedly what a nice guy Corbyn was, how principled he was and, whatever you thought of his policies, that he was thoroughly decent. We have learnt, in the past few weeks, none of that to be true. None of it comes as a surprise to Jews, like me, who have long been concerned of his love for Hamas and Hezbollah and his support for Assad and Iran. We saw it plain and clear with his shambolic showing at Labour's sham anti-Semitism inquiry that seemed aimed at establishing not that anti-Semitism was wrong, but rather, just how much anti-Semitism could be tolerated. We saw it made evident with his reaction to a Jew being abused at the presentation of the results of that inquiry. Whether he likes it or not, he has made this situation all about him, turning any criticism of his policies into a personal critique. When you do that, you fire up your supporters to defend you mercilessly, not the party or the party's best interests, and that's when MPs who dare oppose Corbyn get threatened and abused and face death threats. Whether he condemns it or not, he must bear responsibility for the actions made in his name. Hugo Rifkind asked a question on Twitter. I hope he will forgive me for not searching for the link, for it was a while back, but he asks if Corbyn's supporters ever get the nagging feeling that they and Trump's supporters are the same. They both have a passionate commitment to their Leader rather than the party they are supposed to represent. They both find bullying people they disagree with the solution. They both seem to be vile racist misogynists. I would go one step further. I wonder if Corbyn ever looks at Trump and wonders how on Earth he ended up so like the maverick billionaire when Trump is everything Corbyn claims to stand against. Trump, like Corbyn, is a racist though Trump's racism seems to permeate across far more ethnic groups, rather than being limited to the Jews. Trump, like Corbyn, is causing shockwaves through the party they are supposed to represent, with senior figures refusing to back him. Trump, like Corbyn has proved to be, is a power hungry narcissist. And Trump, like Corbyn, has made it all about him. You may balk at the comparison. You may claim Corbyn stands for much more noble virtues. Perhaps he does. Equally, however, perhaps his anti-Semitism and terrorism apologism means that's all irrelevant. What does standing for noble values even mean if you deny Jews, or any ethnic group, any right to those values? Corbyn claims he will not betray Labour Party democracy, pointing towards an undeniable mandate from Labour Party members. In his blind stubbornness he forgets two crucial things. First, he forgets that he leads a Parliamentary Party, one that aims to secure the principles he claims to support through parliament. Without MPs he simply cannot do that, no matter what Diane Abbott, a woman so odious that I struggle to find the correct words to describe her, might tell him. Second, and more importantly, he forgets that Labour Party democracy is irrelevant when it comes to the democracy we live in. He may have never seen the Labour Party as ideal, nor really bought into its aims or ideals - that much is quite evident - but the millions of people he claims rely on the Labour Party to beat the Tories, if he is right, absolutely do. They rely on Labour to win elections, not to hold mass rallies in Liverpool and claim this proves his electability. They rely on Labour to be an effective opposition when they are in opposition and to be able to defeat the Tories when elections come around. As Labour implodes and the opinion polls show the Tories pulling further away, is it not time he woke up and accepted defeat. Accepted that whatever his aims and intentions - and I do not think them honourable at all, but that's besides the point - he cannot win and he condemns the very people he apparently claims to care about to decades of Tory rule he warns everyone against. Of course, I disagree and look forward to the years of Tory rule he will surely usher in. 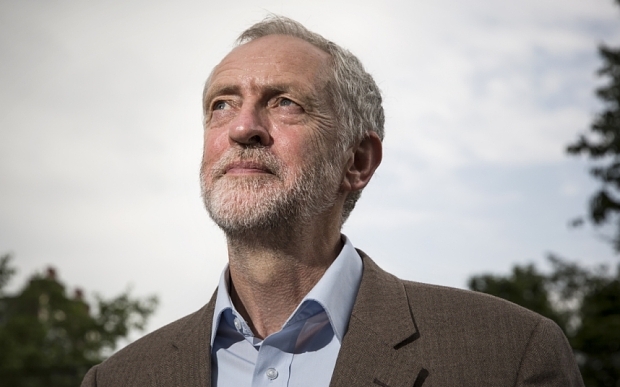 My politics differs from Corbyn's but if he believes even a word of what he says, surely it is time he did the first honourable thing he has done in a career littered with disloyalty, support for terrorism, Hamas, Hezbollah, the IRA, Assad, Iran, anti-Semitism and justifications of it and now stubbornness and bullying and stood aside. Looks perfectly harmless, doesn't he? So, where do you stand on Israel-Palestine?